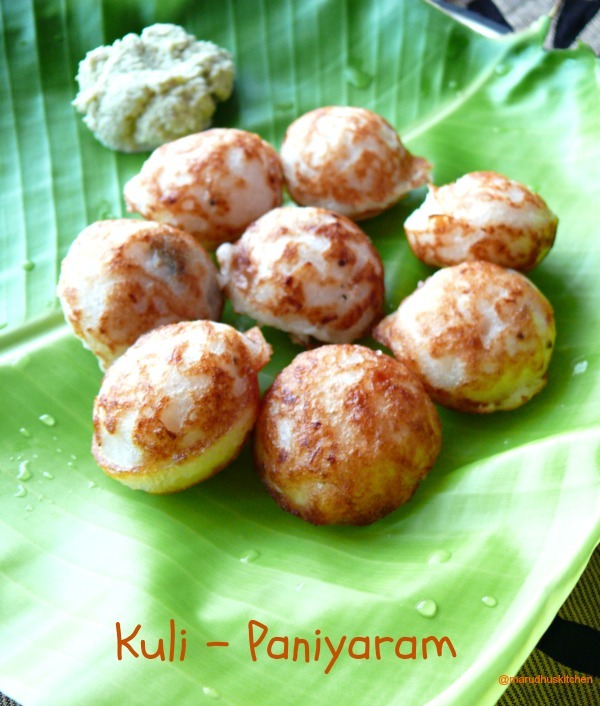 Kuli paniyaram are one of the authentic and traditional chettinad spicy paniyaram’s!a common day to day item in our South-Indian homes.These are easily accessible food!! 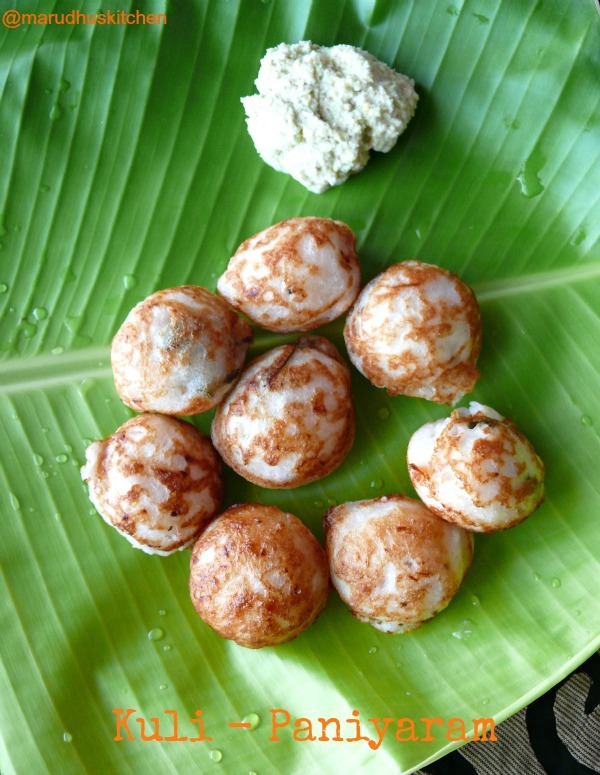 I mean it because it is made from idli-dosa batter that we use regularly at home.Usually on the third or fourth day when the batter is not appropriate for making idli we make these piping hot kuli-paniyarams for evening tiffin . my family has a special love for it to have it with a simple coconut chutney.I personally love to have it with spicy tomato chutney.I don’t use non-stick kuli paniyaram pan! !till date am using the regular one over years.I add lots of finally chopped onions than usual and asafoetida in the tadka instead of chopped ginger.I use stainless steel pointed rod for easy turn over of paniyarams.Now lets see how to make kuli paniyaram the ever-tempting snacky!!! Add some oil when it heats up add mustard and let it splutter. Add urad,bengal gram dhal when it browns add onion ,asafoetida and curry leaves. Combine for few seconds and switch off. To idli-dosa batter add the seasoned mixture and mix well. Now heat up the paniyaram pan ,add little oil in each pockets and pour the batter. Let it become roasted on both sides and you are ready to serve. Add urad,bengal gram dhal when it browns add onion ,asafoetida,green-chilli and curry leaves. For this recipe I don't follow any exact ratio of batter and onions. Even some veggies like carrot can be added for variation. Delicious paniyarm very nice with tea.